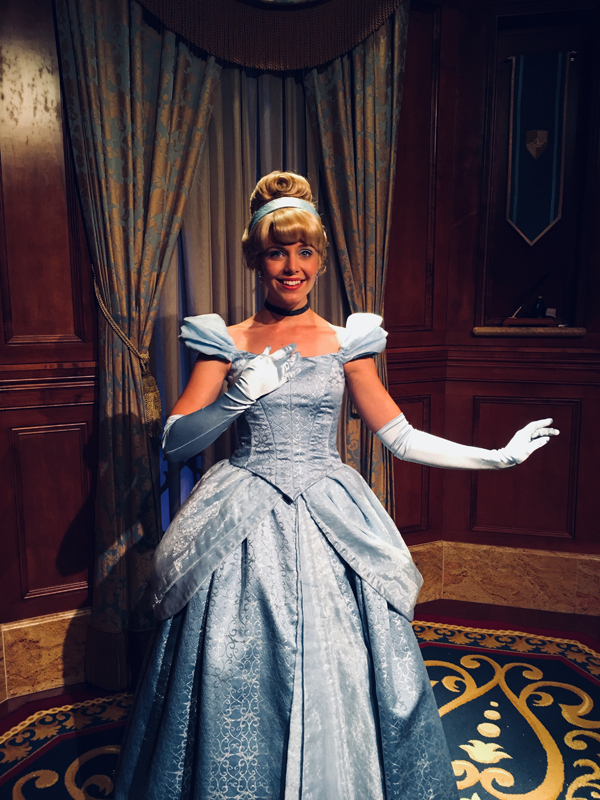 I recently got to experience something that most Disney fans dream of. A park practically to ourselves with complimentary snacks and no waits for rides. Come on, you’re probably thinking. Well, it’s true and you can experience it yourself at Disney After Hours at the Magic Kingdom. At first when Disney announced this hard ticket event I was kinda skeptical due to the price tag being $119 for three hours in the park. 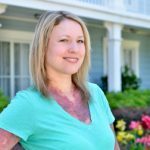 (Discounted to $89 for Passholders & Disney Vacation Club) or purchased on the day of the event for $124 per adult or child, plus tax. Let me tell you, it’s worth it! 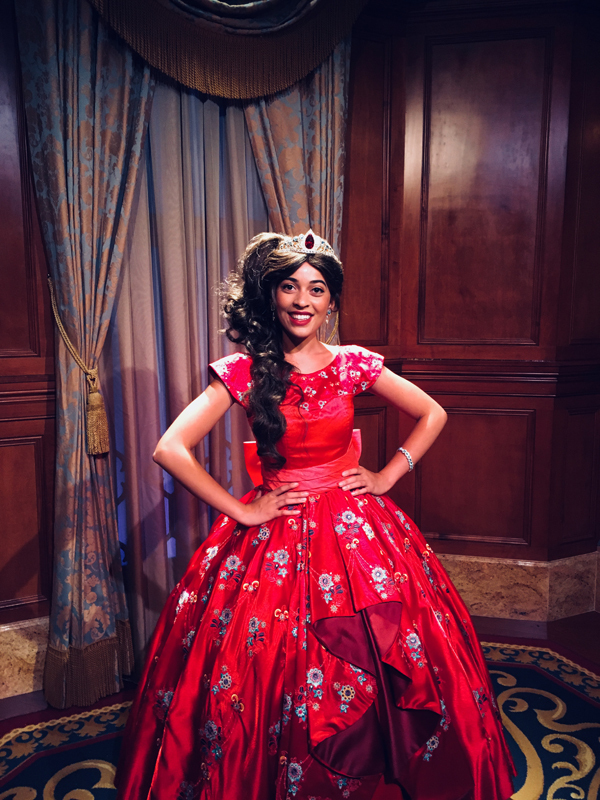 I know I was an invited guest of Disney’s for this event but I am willing to pay for it myself just to experience this enchanting event again. 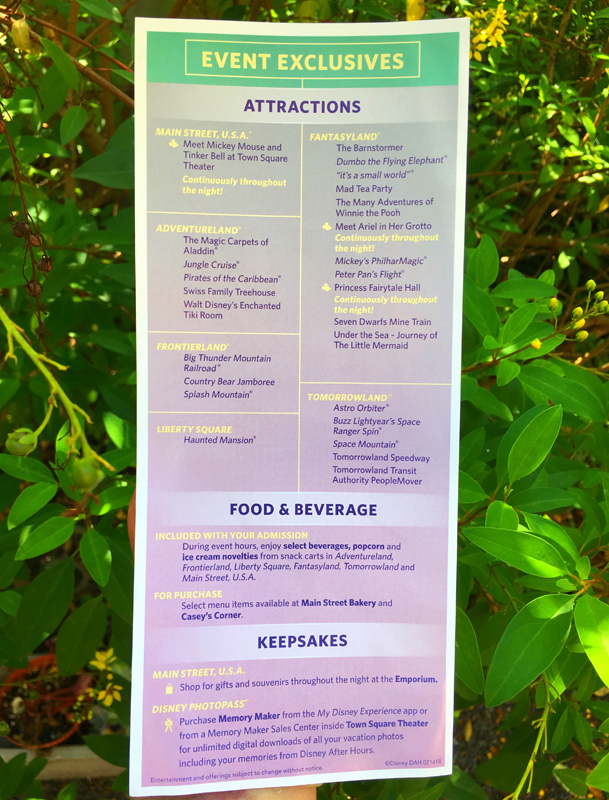 Here is the guide that tells you what attractions, food and beverage and stores are open during the Disney After Hour event. 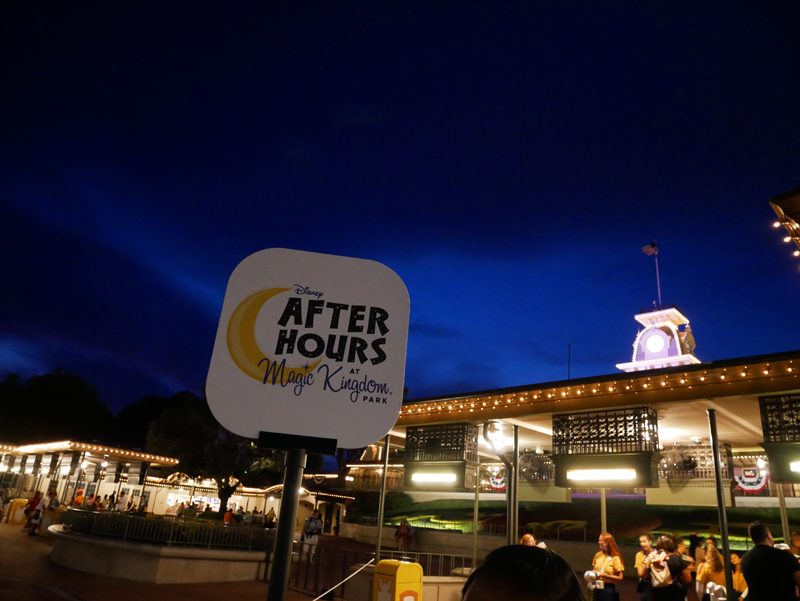 With this special Disney After Hours ticket, the night starts off from 10pm-1am, but you can get into the park as early as 7pm. 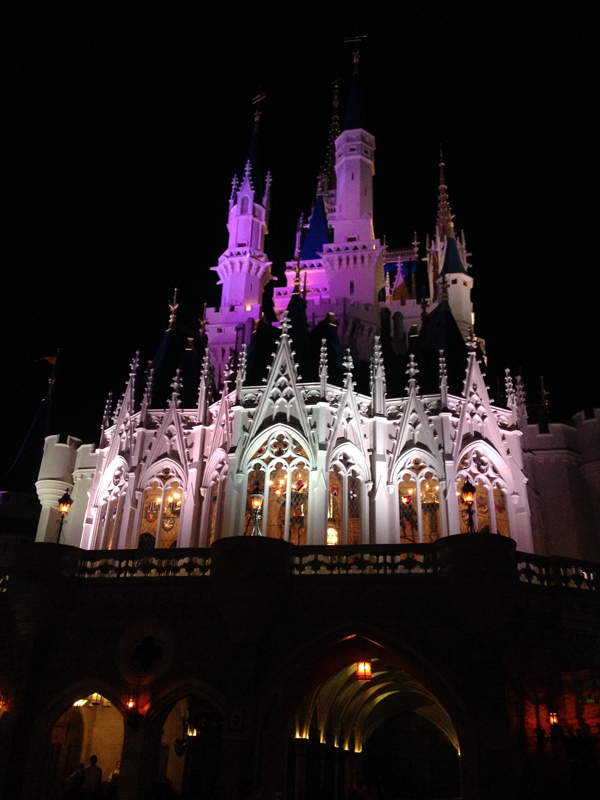 My husband and I headed out to Magic Kingdom around 830pm to start off our date night at Disney After Hours. 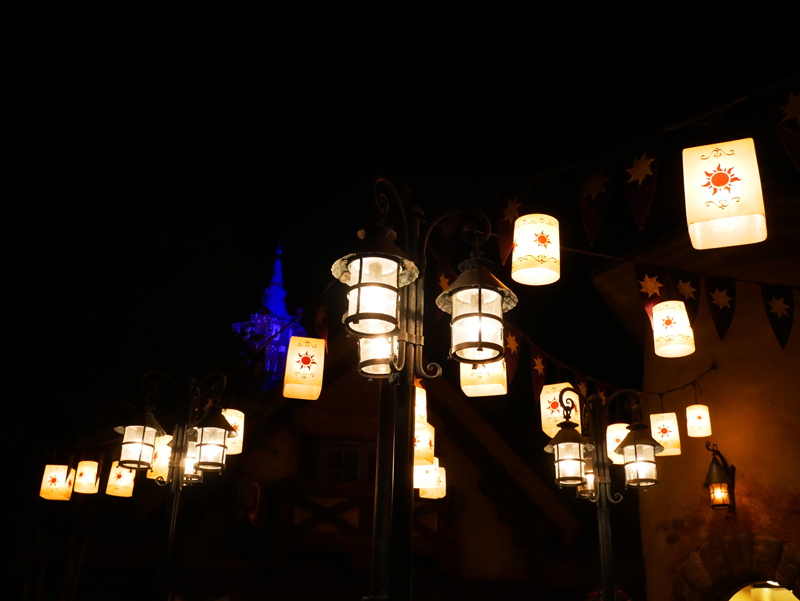 One tip I will say is to make sure you arrive before the regular park guests begin to leave. It can be a bit daunting trying to go in the opposite direction with some of the crowds leaving. 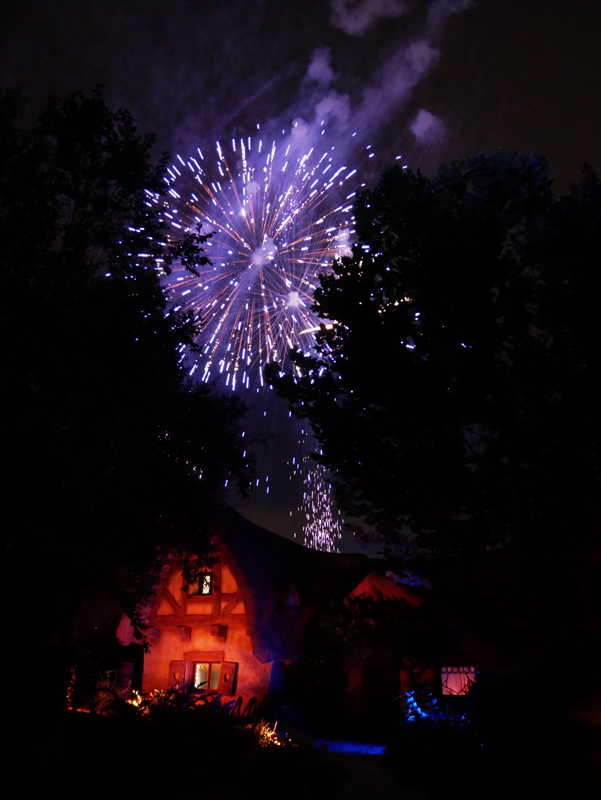 We arrived just in time to catch the Happily Ever After Fireworks show from Fantasyland. It was so fun to get to watch them while riding Seven Dwarf Mine Train. There were little to no waits at all during the evening. Longest wait was 5 minutes. We were able to ride some of our favorite attractions more than once. It was such an amazing feeling of getting to walk right back around and hop on the ride without any wait at all. On some of the attractions, we were the only ones in the ride vehicle. Here is a video vlog of our night. 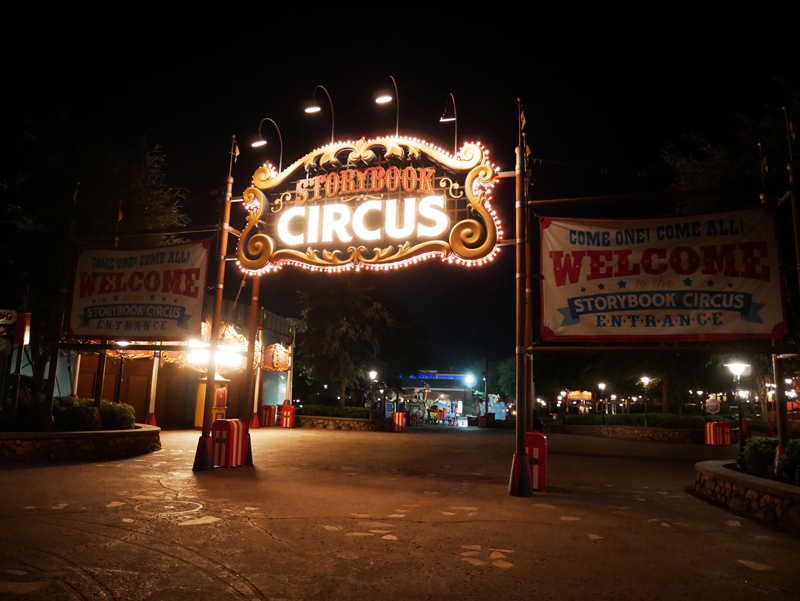 During the Disney After Hours, most of the lands literally looked like this picture of Storybook Circus below. Empty! 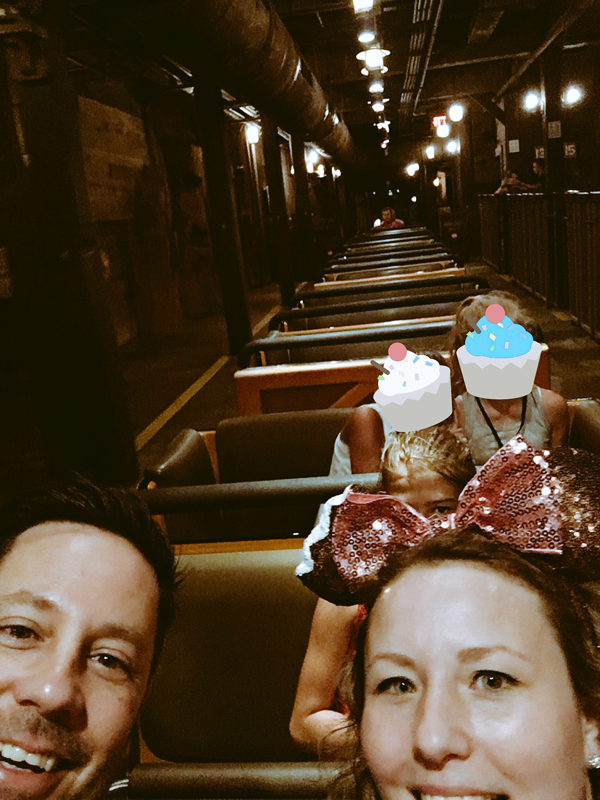 You literally felt like you were a part of a small group of people who have the luxury of just leisurely strolling though the Magic Kingdom with no one else around. 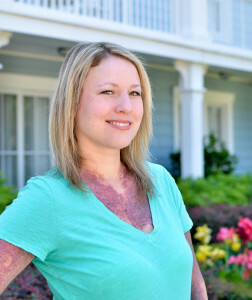 As most of you know the Florida heat is brutal, even more so in the summer time. With this event taking place in the evenings, it was a little less hot without the sun blazing on you during the day. 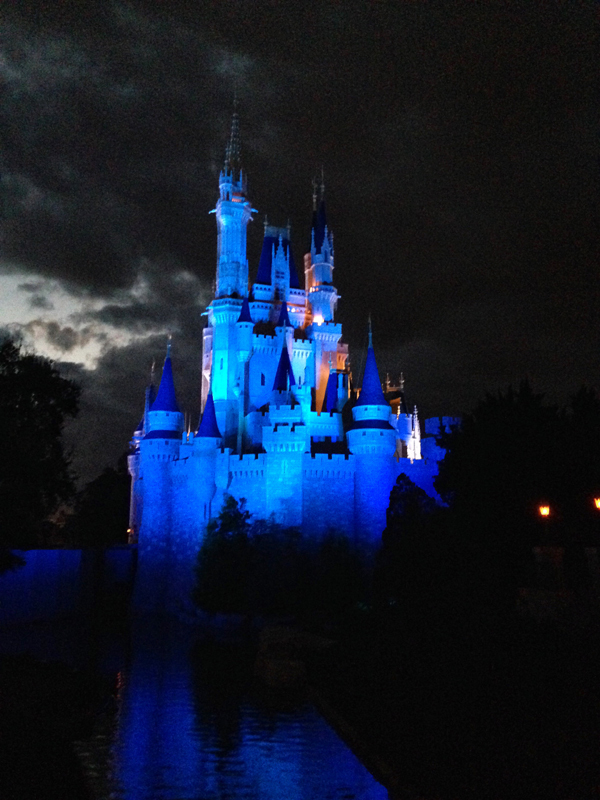 Plus, I love the way Magic Kingdom looks at night. So many twinkling lights and there is another layer of magic with the nightly glow. 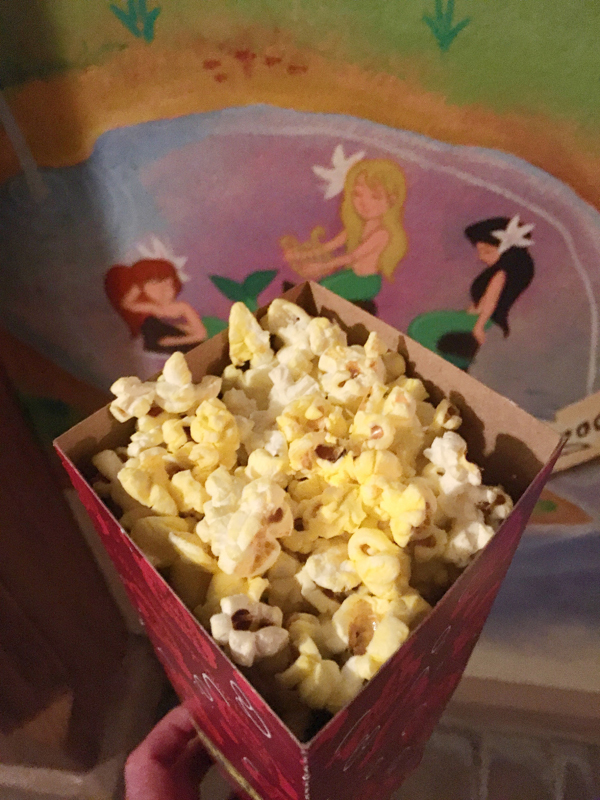 I have to say the longest lines we experienced at Disney After Hours was for popcorn! It was less than 10 minutes. 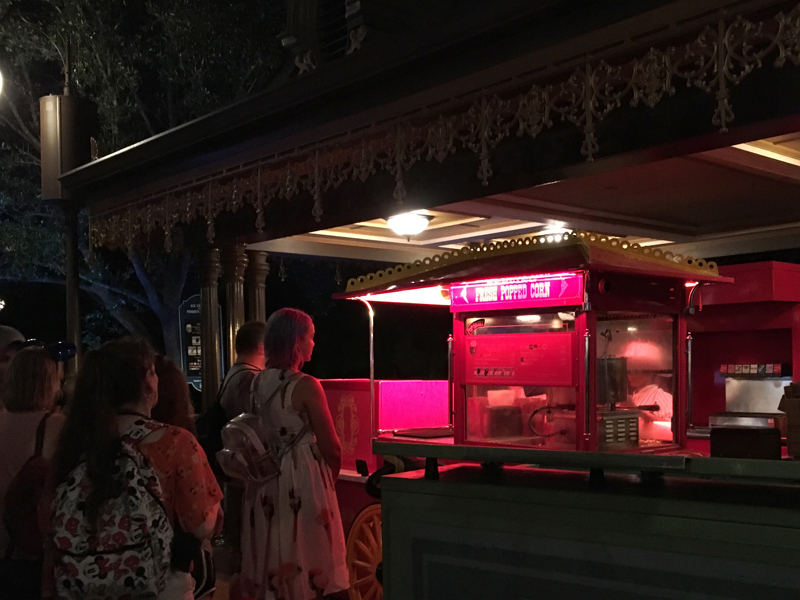 There are several carts set up throughout each land where you can get complimentary popcorn, ice cream novelties and bottled beverages. You can have as much as you want! I ate my weight in popcorn. 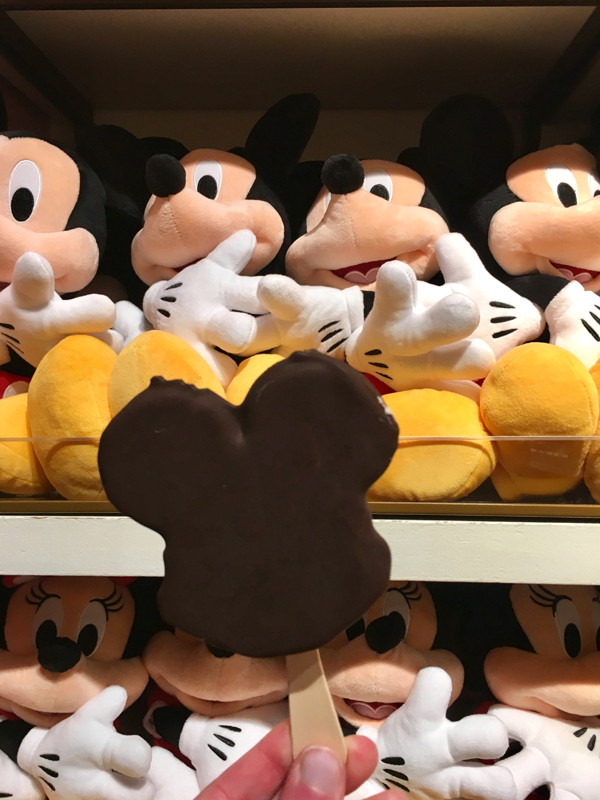 My husband really enjoyed the Mickey Ice Cream bars and sandwiches. I had a couple myself. Loved this extra perk included in the price of your ticket. Tip: Make sure you get snacks before the last half hour of the night. Some of the carts can start to run low so if there is something you wanted to try you may to keep that in mind. All in all I would highly recommend this Disney After Hours event to anyone who is either short on time for a mini vacation to Walt Disney World or to any locals who just want to be out of the Florida sun and ride your favorite attractions without any long waits. 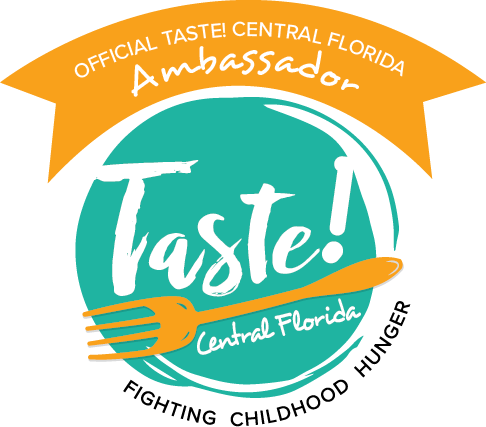 Plus, snacks are included in the price of your ticket! My husband and I had such a magical evening creating memories we will remember of a fun date night together. There are only a limited amount of tickets sold each evening and just a few dates left until September 2018. 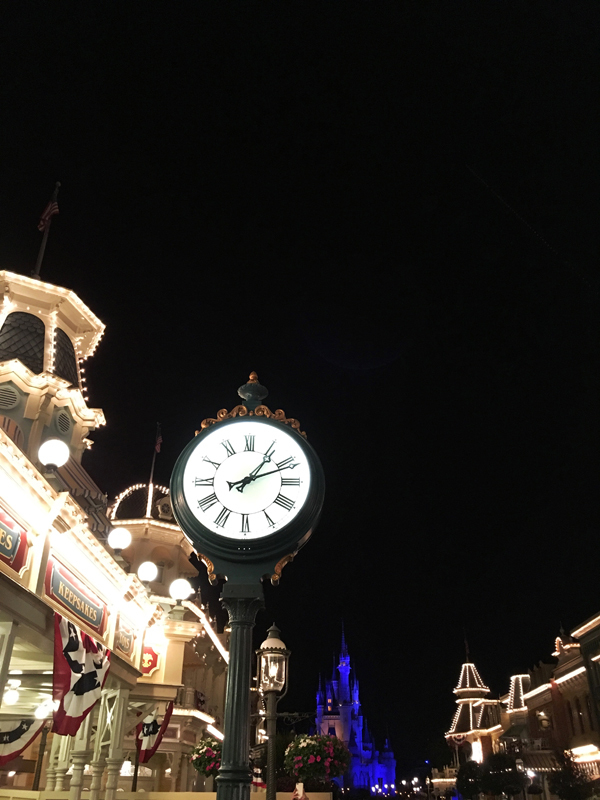 If you’re interested in learning more about Disney After Hours or to purchase tickets, click here. 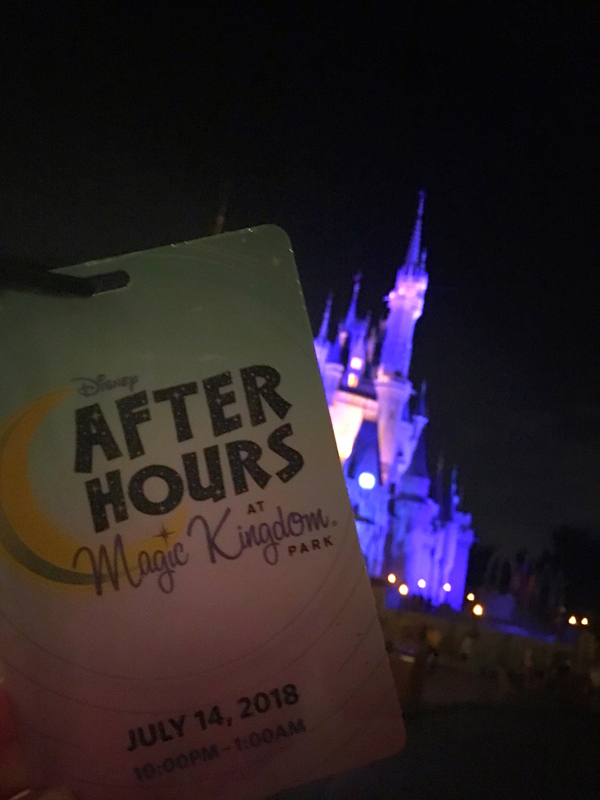 Thank you to Walt Disney World for hosting me for this Disney After Hours experience. As always, all opinions are my own.